How to add new user and manage user profile? How to manage a large number of systems? How to register one or more AirLink gateways? How to retrieve device data in a dataset? How to configure an SMS account? How to stop system monitoring (maintenance state)? 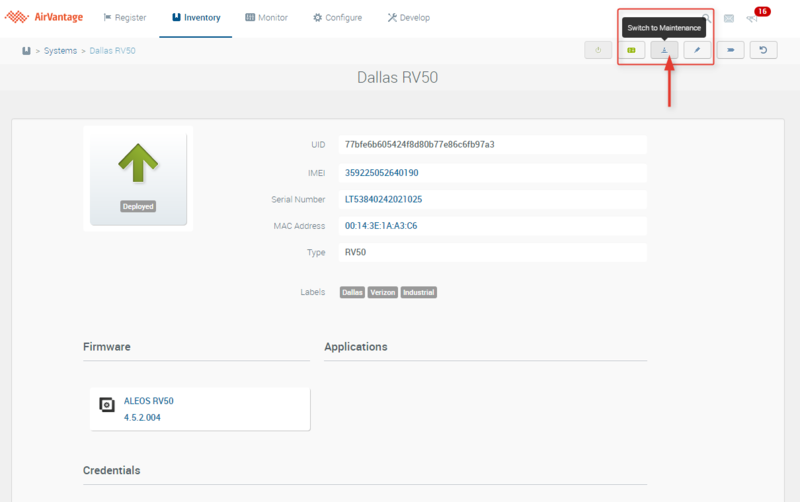 ALMS uses tokens to license your AirLink gateways and routers for use with ALMS. Each device that is in the Ready or Deployed state will consume one token each month. For devices that are inactive (e.g. extra devices you keep in stock, or inventory to be used as spares) you may want to have the devices registered with ALMS, but you do not need to actively monitor them or have them consume tokens. You can put these devices into Maintenance Mode to have them in ALMS, yet not have them consume tokens. Please be aware that devices in Maintenance Mode will not report data to ALMS, and will not appear by default in the Monitor section. 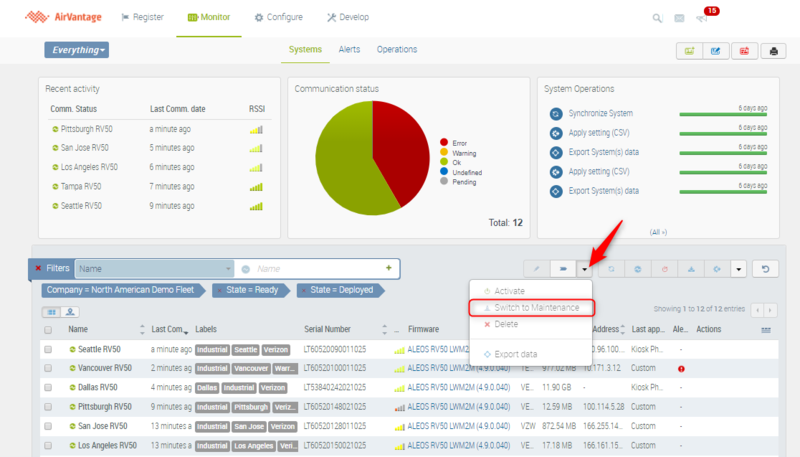 To switch a device to Maintenance Mode, from the Monitor->System section, identify one or more active devices, and select Switch to Maintenance from the Action buttons. A system in Ready or Deployed state is visible through the Monitoring activity. If you need to perform maintenance operations on a system, switch it to the Maintenance state. This will hide it from monitoring and you will then be able to edit it. Access the required system details . Click on Switch to Maintenance. ©2015 SierraWireless. All rights reserved.